Andrew Poppy is a composer, pianist and music producer. 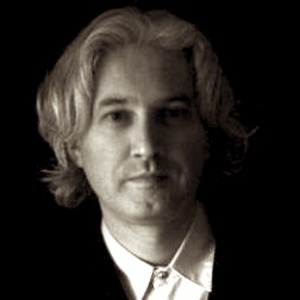 As a teenager Andrew Poppy experimented with musique concrete, played Beethoven on the piano and bass guitar in an improvising rock band before going on to study music at Goldsmith's College. During his time at Goldsmiths he was active as a performer organising performances of Terry Riley's In C and other experimental works, as well as playing the piano in Webern's Concerto and giving a solo piano performance of Glass's Music in Fifths. As a teenager Andrew Poppy experimented with musique concrete, played Beethoven on the piano and bass guitar in an improvising rock band before going on to study music at Goldsmith's College. During his time at Goldsmiths he was active as a performer organising performances of Terry Riley's In C and other experimental works, as well as playing the piano in Webern's Concerto and giving a solo piano performance of Glass's Music in Fifths. His interest in an alternative contemporary music was especially stimulated by contact with American composers Christian Wolff and John Cage. On graduating in 1979 Poppy worked as an accompanist at The Laban Centre of Dance and Movement giving him an education into the world of contemporary dance. In early 1981 Poppy became a founder member and pianist with The Lost Jockey, a large ensemble which explored in both composition and performance the pulse based techniques associated with the work of Glass, Reich and Andriessen. He wrote a number of works for the ensemble including, The Object is a Hungry Wolf. Poppy's attempt to recontextalise this music and gain access to a wider audience came in the mid 1980's when he signed as a recording artist to Paul Morley and Trevor Horn's ZTT Records. Enthusiastically pursuing a post minimal aesthetic in the context of a pop label he recorded 2 CDs. The first, The Beating of Wings contains 3 fully notated works (including 32 Frames for Orchestra) and Listening In a type of studio work further developed in his second CD Alphabed. This album clearly merges traditional composition and studio production techniques in its use of sequencers, samples and electronic keyboards and includes a variety of singers including Annette Peacock, Ashley Slater, Udo Scheuerpflug and Dee Lewis. Two 12inch releases show the extent to which Poppy could use the studio to build new works out of the multi-track recordings of finished pieces. The Impossible Net remodel's 32 Frames whilst Kink Konk Presto, Kink Konk Adagio, East Fragment re invents Listening In. During the 1980 Poppy collaborated on experimental/visual theatre pieces produced by The Institute of Contemporary Art in London such as Secret Gardens and Midday Sun. This interest developed into a number of music theatre or chamber opera works: The Songs of the Claypeople for Impact Theatre and The Uranium Miners Radio Orchestra Play Scene's From Salome's Revenge for Royal Opera House's Garden Venture. In 1991 The National Theatre Studio commissioned Baby Doll a chamber opera for 3 voices, adapted from a Tennessee Williams' screen play and in 1996 the composer wrote and recorded Ophelia/Ophelia an opera and version of Hamlet for one voice which was selected by the International Society for Contemporary Music to be part of the year of culture festival in Copenhagen. In the 1990s a renewed interest in concert music produced 14 Poem and Toccatas for violin and piano, (performed at the Huddersfield Festival by Andrew Ball and Elizabeth Perry) and Ember: String Quartet for The Balanescu Quartet. Eight Movements for Piano Trio, Eleven Word Title, Sprung and Suspended and End Synch Sound (with a film) were commissioned by various chamber ensembles. In 1997 the Royal Liverpool Philharmonic Orchestra commissioned Horn Horn a concerto for 2 alto saxophones and orchestra. Most recently New York pianist Jed Distler and UK based Tania Chen have performed selections from Fruits and Shavings 23 pieces for solo piano. Over the last two decades Poppy has contributed to the creative projects of many other artists. This includes working in the studio with bands such as The The, Erasure, Nitzer Ebb as well as making theatre scores for Julia Bardsley's productions of Macbeth and Family Reunion and Kenneth Branagh's perfomance of Coriolanious. The list of choreographies provoked to make dances to Poppy's music include Ian Spink, Sally Owen, Michael Clark, Gaby Agis, Sue Davies, Linda Gaudreau, Julia Bardsley, Michael Popper, David Massingham and most recently New Yorker Heidi Latsky. He has also made music for TV and film - notably with Portugese director and producer Vitor Gon?alves - and between 1995-97 he was head of music at the National Film and TV School in the UK. The year 2000 see the CD release of Time At Rest Devouring It's Secret a studio work of 35 minutes duration which once again connects the musical techniques of the minimalist project to an image from popular culture. Andrew Poppy is currently preparing 'an environment with moments of performance' a collaboration with Julia Bardsley and developing a new ensemble work called Weighing the Measure or Why Pulse.